When you’ve just made the decision to be a landlord, your to-do list can seem daunting. To find success with your new venture of becoming a landlord, use these tips. If you’re still in the research phase, start small and scale up. It’s easier to manage a single-family rental than a 10-unit apartment complex. Likewise, it’s easier to find success with a rental that’s near you than to buy property somewhere you don’t live. Even if there are great deals in the neighboring state, odds are you don’t know the area well enough to understand which neighborhoods are desirable or form relationships with contractors. Many novice landlords set a lower rent than necessary to recoup their costs. As a landlord, you need to make more than enough to pay mortgage, taxes, any fees (such as condo fees), homeowners insurance and maintenance. 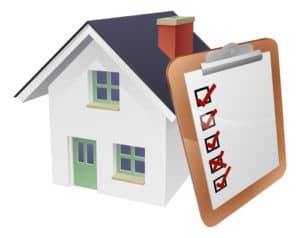 While a property manager can help you set a realistic rent, you can also browse real estate websites to see what comparable properties are renting for, then do the math to determine how this translates to your property. As you start collecting rent, take care of all expenses first. Then set aside the money you’re saving for emergencies in a separate account. While fixing issues yourself is one way to keep costs down, know your limits. As a landlord, you’ll need to maintain a clean apartment, make repairs, market your apartment, screen tenants, collect rent and perform other tasks, as needed. If you aren’t handy, look for repair personnel before you need them — no one wants to be searching for a plumber when the pipes are leaking! If you don’t want to track down tenants over late rental payments, consider hiring a property manager who will do that for you. In the rush to find those first tenants — and start recouping your investment — you may not screen renters. Unfortunately, many landlords learn a hard lesson when that renter who seemed like a great fit damages their property or falls into a cycle of late rent. Screening applicants provides you the peace of mind that an applicant is who he or she claims to be and makes enough to afford your rental. Before getting your first tenants in the apartment, make sure you understand landlord tenant rights. Know what you’re allowed to withhold from tenants’ security deposits and the rules regarding eviction, for instance. Educating yourself about tenant rights will help you comply with existing laws. American Apartment Owners Association offers resources for new and veteran landlords. Members receive access to a library of rental forms, discounts at retailers, free educational webinars and more. Explore the member benefits of joining AAOA, or become a member now.